The love story of Morgan and Chris is one made for the movies. 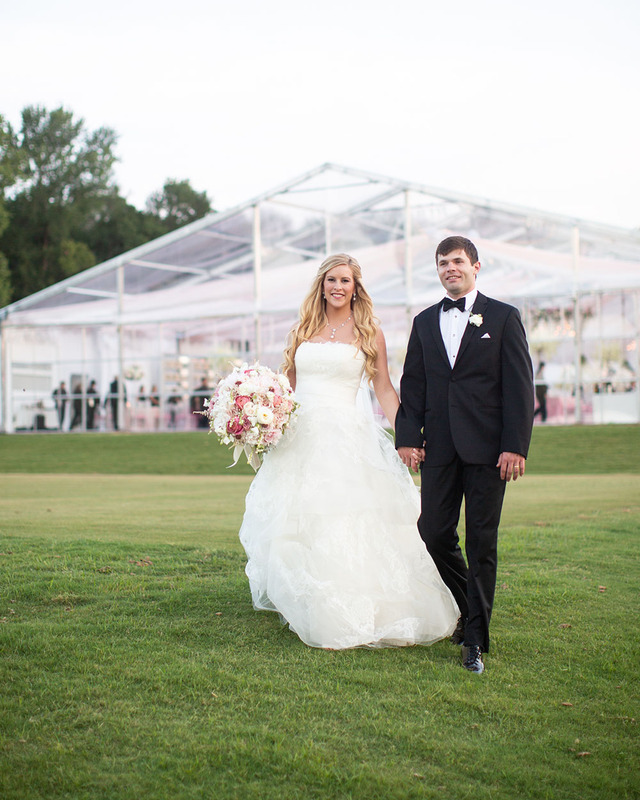 They attended the same elementary school in Highland Park, were part of the same “best friend group” in fourth grade, and started dating during college at Southern Methodist University. While on vacation in Aspen for New Year’s Eve, Chris proposed to his beloved on top of a snowy peak. 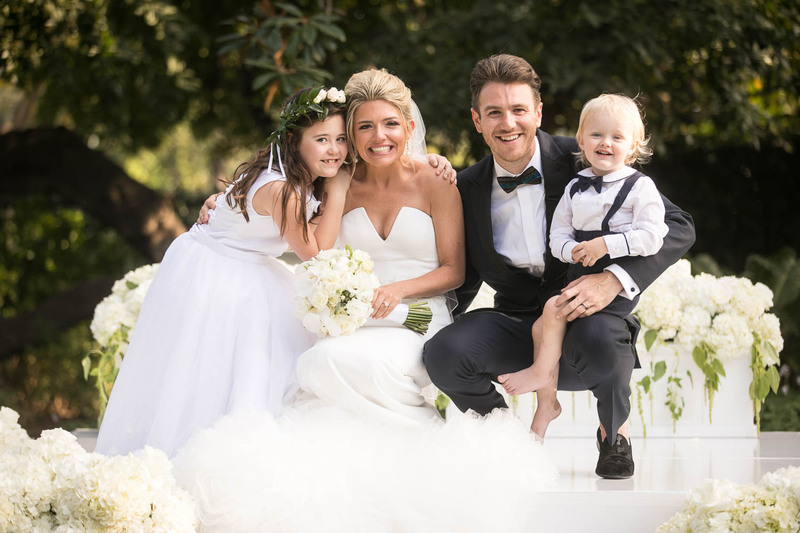 Opting to exchange vows in Pasadena where the bride’s father has lived for 25 years, the couple planned a destination celebration with help from Tessa Lyn Events. The iconic Valley Hunt Club, where Father of the Bride was filmed, served as the site of the sunny alfresco vow exchange. 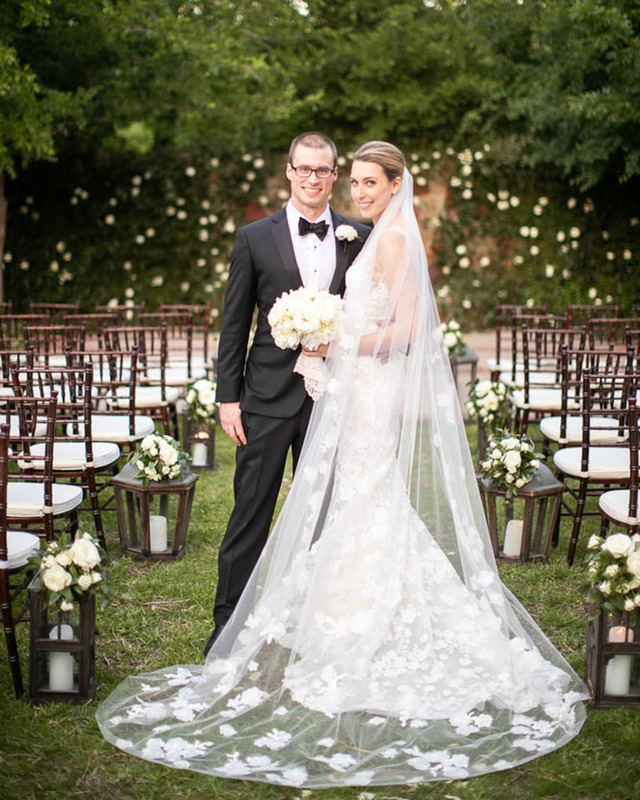 The bride was resplendent in a strapless Vera Wang gown as she met her groom on a white stage decorated with ivory hydrangeas as guests witnessed the service from crisp white chairs dotting the lawn. The iconic Valley Hunt Club, where Father of the Bride was filmed, served as the site of the sunny alfresco vow exchange. Loved ones then enjoyed a sit-down dinner in a glamorous ballroom. 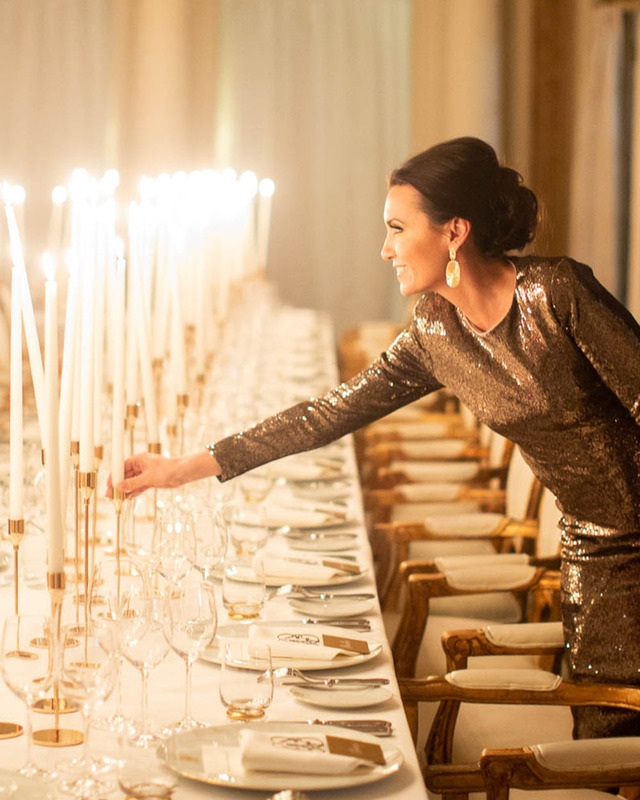 Tables were strewn with deep navy linens and surrounded by gold chairs. Centerpieces designed by Lotus & Lily showcased florals in shades of ivory, peach, and blush. Attendees spent most of the night on a wooden dance floor adorned with a projection of the pair’s tropical monogram. A live band provided entertainment, and guests kept their energy up thanks to an In-N-Out Burger food truck. Not one, but two after-parties kept friends and family celebrating the newlyweds all night before they finally departed in a classic Cadillac with full, happy hearts.